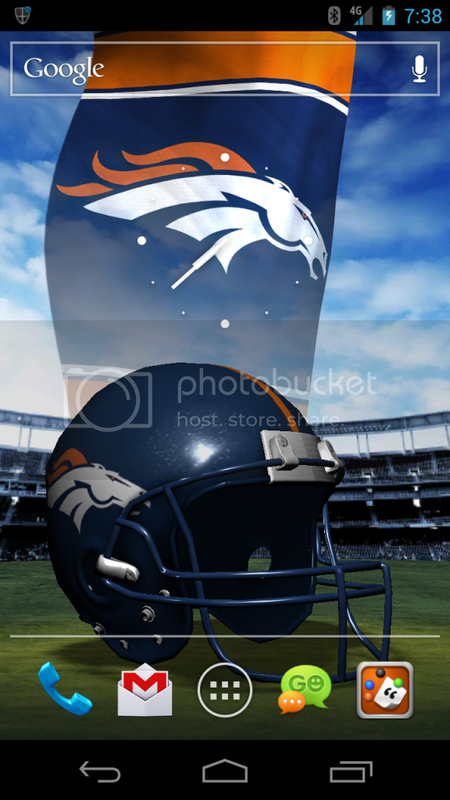 NFL live wallpapers. It was the .10 cent app. Tapped from a Galaxy far far away. laineyc, qnet and sunkistchelly like this. You're right. There should be AFC west champ flag on there somewhere!!!! Took my picture. How do I send it to you? I use minus upload my snapshot there the pull it from there..
Zen HD isnt it? If so I have that one also. Last edited by Venomhatch; 12-16-2011 at 12:58 PM. Garemlin, Ampclamp and Edd like this.